I never read the graphic novel of Gerard Way and Gabril Bȧ of which ‘The Umbrella Academy,' the new superhero family drama series from Netflix, is based on. And, in a way, I’m glad I didn’t because coming in blind was one of the best ways for me to come in to the series: with absolutely no expectations whatsoever. It’s a merging of two genres that I enjoy very much -- the complicated family drama and the superhero adventure. It’s dark and twisted but it’s also thrilling and captivating. It’s not entirely a superhero show -- the characters have long given up their masks (except for one) and have gone on about their lives but there is a threat to the world, a cataclysmic one, and our heroes must band together again to stop it. The only problem is, they are a family and it’s this complex family dynamic that gets in the way, amongst a host of other challenges that come their way. The Umbrella Academy is the name of a group of children all born on October 1989 from a mother who was only pregnant that day and gave birth on the spot. An eccentric billionaire gathered seven of these children, who all manifested superhuman abilities, and trained them to save the world. But as they grew older, personal turmoil and a great loss have torn the family (and the team) apart and they’ve all gone their separate ways. The series begins at the death of the eccentric billionaire, Reginald Hargreeves, and the remaining six children have come home to bury him and face their personal demons with their adopted father who was less than kind. Much much less. 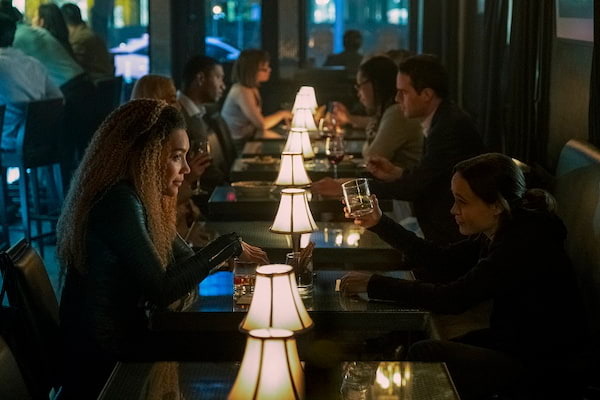 ‘The Umbrella Academy’ is a show that is not afraid to get dark and brutal. It treats death and excessive violence lightly and there is a lot of it. It’s also unafraid to dig deep into the pathos in each of these broken people -- because make no mistake, they are all very broken -- whose lives were both made and destroyed by their gifts and the circumstances of their upbringing. And while each member of the family is featured heavily in the 10 episodes of the first season, our entry point is Number 7, who goes by the name Vanya. Vanya is the only child in The Umbrella Academy who doesn’t have superpowers and her turmoil revolves around how she has been excluded from all the activities of her siblings, who used to go on missions as children. In her efforts to establish her own identity, she wrote a tell-all book about her life in The Umbrella Academy, which estranged her from her family. 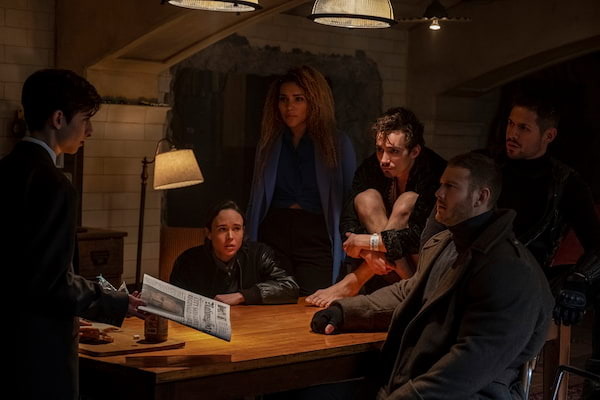 As the family comes together for the first time in over a decade, the cracks are evident and when the threat of a cataclysmic event is presented, it really feels that The Umbrella Academy will not be able to solve their difference to band together again to stop it. Especially since they only have seven days to do it. ‘The Umbrella Academy’ wonderfully plays with all the tonal shifts a complex narrative like this entails. It effortlessly maneuvers family drama, superhero action, existential angst, and suspenseful mystery. By keeping everything completely stylised -- music from all genres, exquisite production design, nuanced performances from all the actors, and balancing whimsy and drama with equal measure -- allows the audience to take on this journey while slowly uncovering the many revelations that propel the story forward. At its core, the storytelling is focused on what the show keeps hidden. In the first three episodes the show makes us ask questions: was Reginald Hargreeves murdered? What will cause the cataclysmic event? How horrible a foster father was Reginal Hargreeves? Will Vanya be able to mend her relationship with her siblings? Will The Umbrella Academy ever fix their brokenness and save the world? Who are these people who are chasing Number Five (yes, the kids were never given names, just numbers, and Number Five chose not to take a normal name), the resident teleporter? These are huge stakes and told in a refreshing comic book style, we are drawn in to this world to show us that just because one has extraordinary abilities it doesn’t exempt you from the pains of human frailty. Superpowers or not, we all have to pay the price of our decisions and sometimes having extraordinary gifts means that the consequences are bigger and more costly. 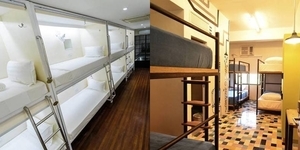 It can also mean a heavier price for those that we love, especially our families. I hope the show continues on with a second season. I don’t think it’s a spoiler for me to say that it ends on a very precarious cliff-hanger that leaves so many doors open. It’s an excellent show that feels completely different from many superhero shows out there today and I really hope we get a second season. 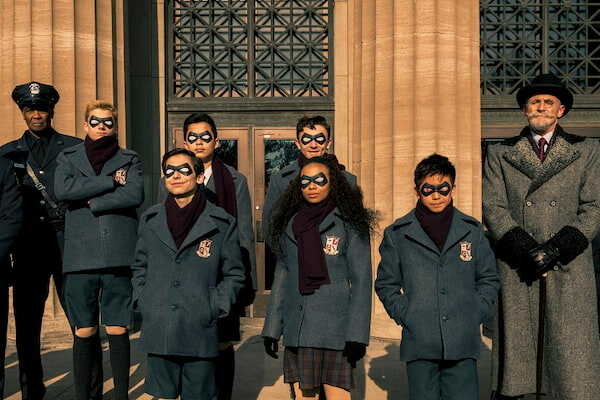 The Umbrella Academy season 1 arrives on Netflix this February 15, 2019.